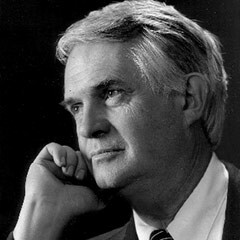 Stewart Gordon’s career included posts at the University of Maryland, Music Department Professor and Chair and Queens College (New York) as Provost and Vice-President for Academic Affairs. He’s toured in the United States, Canada, Germany, Austria, Switzerland, Italy, France, Great Britain, Ireland, Norway, Hawaii, Japan, Taiwan, the Caribbean and Saudi Arabia. He’s also recorded works by Beethoven, Schubert, Schumann, Chopin, De Falla, Scriabin, Ellis Kohs, Luis de Frietas-Branco and the complete Rachmaninoff Preludes. He has authored Planning Your Piano Success, Beethoven’s 32 Piano Sonatas, Etudes for Piano Teachers, and Mastering the Art of Performance for the Oxford Press; A History of Keyboard Literature, for Schirmer; and was co-author of The Well-Tempered Keyboard Teacher (Schirmer). He’s made CD’s of Memorization in Piano Performance and Performance Practice in Late 20th Century Piano Music (Alfred), in addition to being editor of the 32 Piano Sonatas of Beethoven, Debussy’s 12 Etudes, and a two-volume set of complete Mozart piano sonatas for Alfred Music. As a composer he writes primarily for musical theater and his shows were produced in New York, Washington, Savannah, Hollywood and Hawaii. He created the William Kapell International Piano Competition, directing it for 15 years; also the Savannah Music Festival and its American Traditions Competition, directing it for 14 years. He adjudicated many international piano competitions. Stewart Gordon graduated from the University of Kansas (BM and MM) and The University of Rochester (Eastman School) (DMA), and holds a diploma from the Staatliches Konservatorium des Saarlands. His teachers were Olga Samaroff, Walter Gieseking, Cecile Genhart and Adele Marcus. He has many awards: Ramo Award for service to Music (2001), Maryland State Creative and Performing Arts Award (1982), Maryland State Music Teachers Award for Distinguished Service to Music (1979) and Danforth Teacher Study Grant (1960). He is a Phi Beta Kappa, Phi Kappa Phi, Pi Kappa Lambda (music) and Scabbard and Blade (military). As a young man he served four years as a junior officer in the United States Navy.